Are UK Politicians losing the plot? Before I attempt to answer the question and say why I have decided to ask it, I thought I would begin with a quote from the Facebook page of Camelot Castle TV Network, which is strangely pertinent. “…There is a disconnect between the UK population and the USA population the populist movements in both countries are trending in different directions. 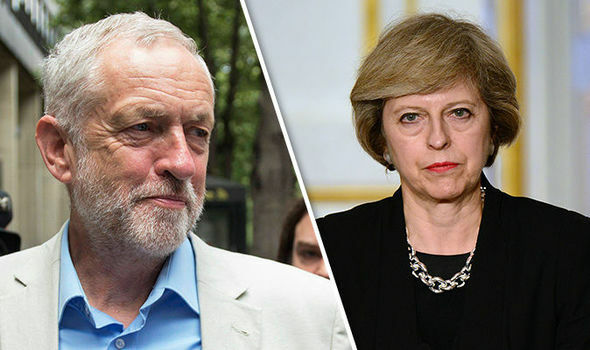 Here the political pendulum is swinging toward the left and and characters like Corbyn and our completely owned left wing media are GAINING in credibility. THE USA is at a different stage in its lifecycle or cultural “evolution” one could say. The USA has already experienced its “Eight years of Corbyn” they have had their high taxation, high regulations and it destroyed the USA and ordinary people there… After the USA’s eight years of Obama’s Coyrbynesque – borderline communist philosophy, millions of ordinary people in the USA were sick of Obama and wanted dramatic change… We in the UK, as the pendulum is swinging in the opposite direction, are about to sign up for our eight years of Corbyn… We live in a world where concepts and ideas travel the planet at light speed and narratives shift within hours… There is and old saying that to understand a man one should walk a mile in his shoes…I have not done that literally with relation to the 45th President but I have taken the time to get to know the first family well and many people that currently surround the presidency… The speed at which the 45th President moves as an executive and his competence and leadership qualities have to be experience and observed to be understood. The sheer velocity, insidious nature, and volume of the vicious attacks that he has endured in DC from the moment he took office, by those from whom he wrested the Presidency, would pale even the most cunning and vicious efforts to attack leaders in Versailles, Rome, Carthage or Ancient Greece…His enemies are literally furious that they have lost the control of the most important game on earth – THE US PRESIDENCY. I have seen this first hand in DC but more importantly I have seen the goodness kindness and spiritual qualities of President Trump as a being. I have seen the hand of providence at work. Put simply what is happening in DC and in the USA is the Will of God and it is also the manifestation of the WILL of the American people… We are witnessing a spiritual evolution in the USA the likes of which this earth has never seen before…In about eight years, after Eight years of Corbyn’s decimation of our UK economy and our culture and our countryside at the hand of those who will have played their part… The people of Britain may start to understand the USA and why they did what they at this time.. Mankind is in trouble…big time…and the 45th President is part of God’s solution for our world… As are you”. Some reading this will strongly disagree (I don’t and have stated my position in my “Donald J. Trump – mad, bad or good” blog) but somehow when I come across this statement for the first time it strangely related to what I had to say. I had recently two exchanges with two Conservative councilor friends. In the first I told my friend about my equal opportunities policies of treating politicians from all parties with a degree of disdain (which he saw the funny side of). My other friend was not quite so amenable when I told her that I felt the Conservatives had lost the plot, an idea that she felt her case did not apply. My antipathy toward the Conservatives is for a number of reasons, starting from what in my opinion is capitulation over the Brexit negotiations while at the same time getting on their high horses concerning President Trump’s recent anti-Islamic tweets and getting all defensive when Trump accused the UK of giving in to Islam. As I survey the mood of the nation, matters like the NHS, the austerity regime that continues to affect the least well off, social injustice etc., I don’t see much to offset my antipathy toward the Conservatives or to change my view that they are indeed losing the plot. Much as I would like to vote for Labour when an election is called (some pundits think this could be sooner), their promise to make homelessness a thing of the past and getting it over a number of social justice issues, for example, makes this tempting, the thought of a Corbyn led government leaves me with a feeling of foreboding, for reasons including those put forward above. When it comes to being anti-Trump and anti those who subscribe in part to Trump’s agenda, like the evangelist Franklin Graham, who a number of Labour MPs have called upon not to be allowed into the country, I differ profoundly. Actually, we need Trump to come and if it were me I would welcome his visit and a chance to further consider his perspective on the world, as well as to lock horns and do deals. Lib Dems and the Greens taken as a whole have been just as disappointing, and even if I were to be tempted to court UKIP, they are still seen to be the nasty party as well as being a spent force unless the phoenix can arise from the ashes. Given my antipathy toward all parties, all this amounts to a depressing prospect. Before I give my conclusions, I should say many good people enter politics as a way to serve their community and politics can be a force for good since it does relate to a lot of what concerns community and changing it for better or for the worse. I have often taken my own (Conservative) MP, James Duddridge, to task, but there are a number of things he has done which I have approved of, as have my two afore-mentioned Councillor friends. I can think of a number of Labourites I could say similar and I welcome Ashley Dalton as the Labour candidate to fight the next election, because she is a formidable lady who despite our political differences can I reckon do a deal of good if she were MP. I do see party politics, however, as being potentially (and actually) corrupting and few who go down that route come out untainted, especially them who go for power rather than be their own man/woman and work from a position of high principles and integrity, which is often a recipe for being kept away from power by their party. Sadly, while the US under Trump is imo moving in the right direction (at least in the main) the opposite is true for the UK, and if Labour were to come to power they would do the opposite to the economic recovery, return to national identity and rejection of globalism, and dare I say it a return to traditional Christian values we are now seeing in the USA under Trump. Sad to say, our politicians (of all shades) as a collective ARE generally losing the plot and this is a matter I must give over to the Almighty and pray for politicians to be raised up who find the plot.